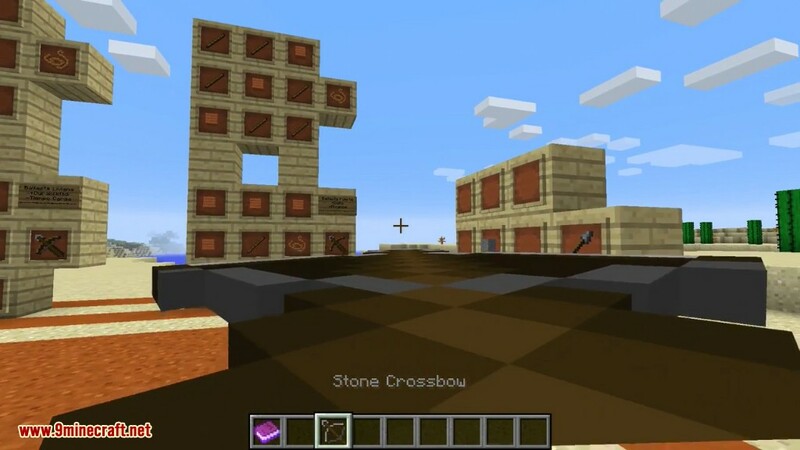 Crossbows Mod 1.11.2/1.10.2 adds 15 new crossbows and 9 new bolts. 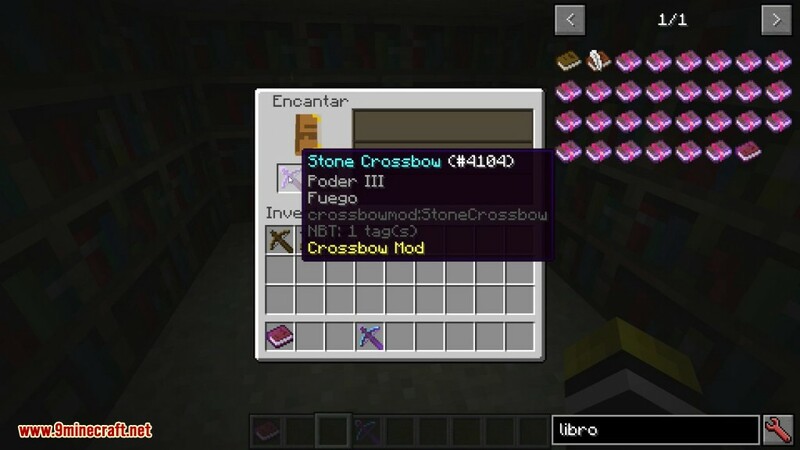 Each crossbow is able to fire bolts made of the same material or less valuable material. 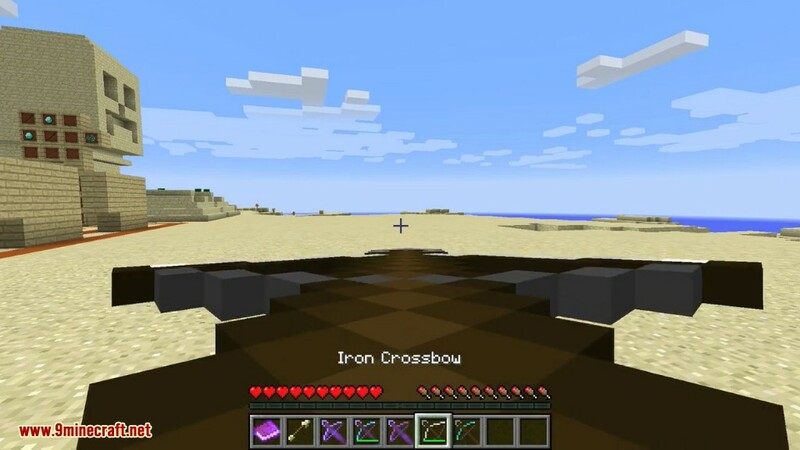 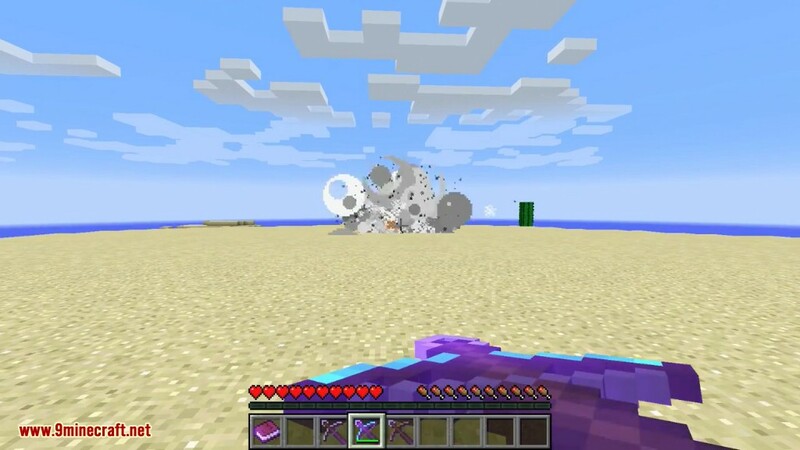 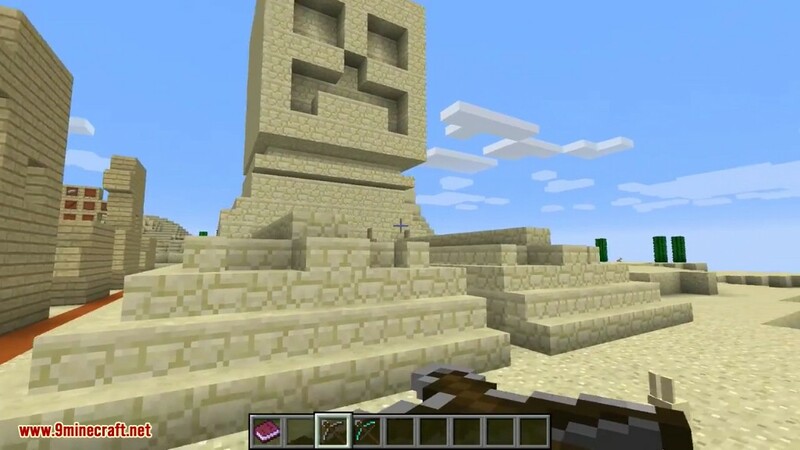 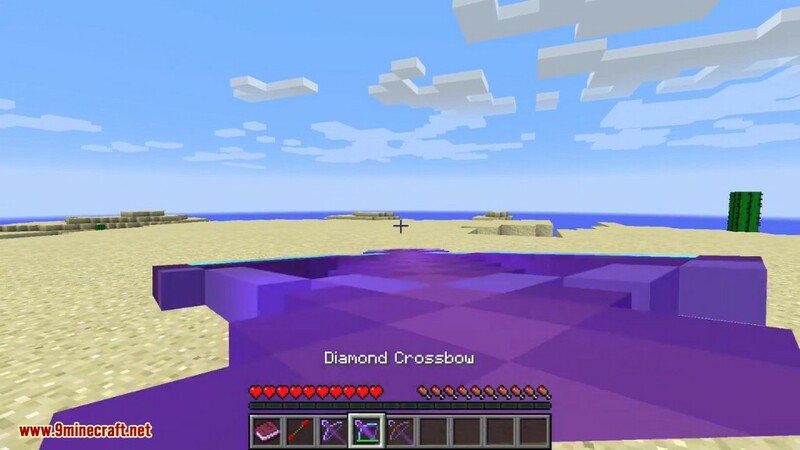 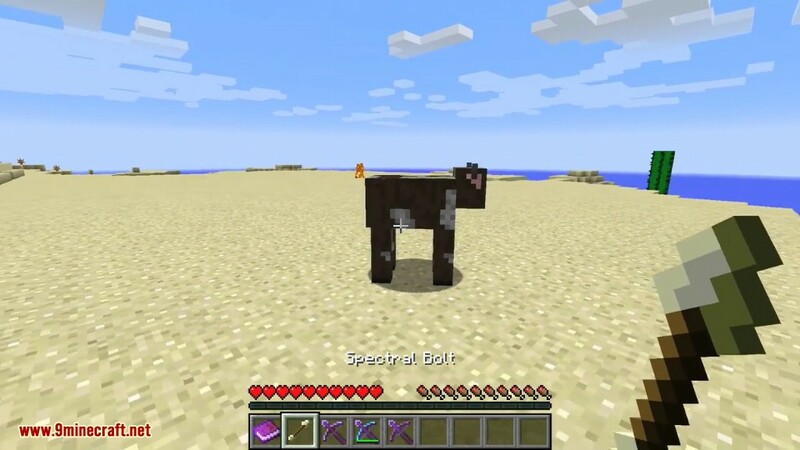 Iron and diamond crossbows are also able to shoot the special bolts – flame, explosive, teleport and spectral – however this could change depending on feedback. 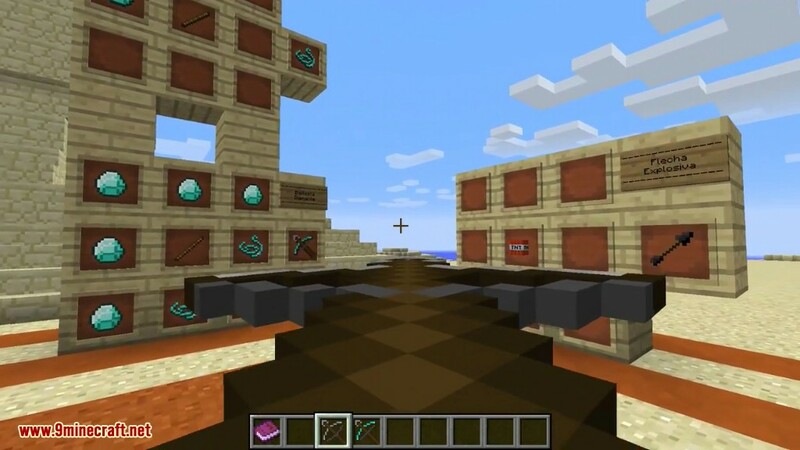 Bolts are fairly simple to construct: just a stick and the material that you want it to be, placed above. 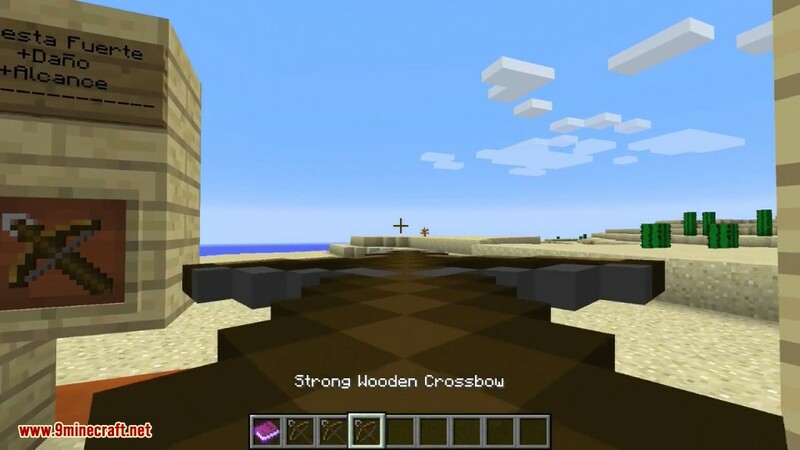 However in order to make the crossbows you need their respective bindings as well. 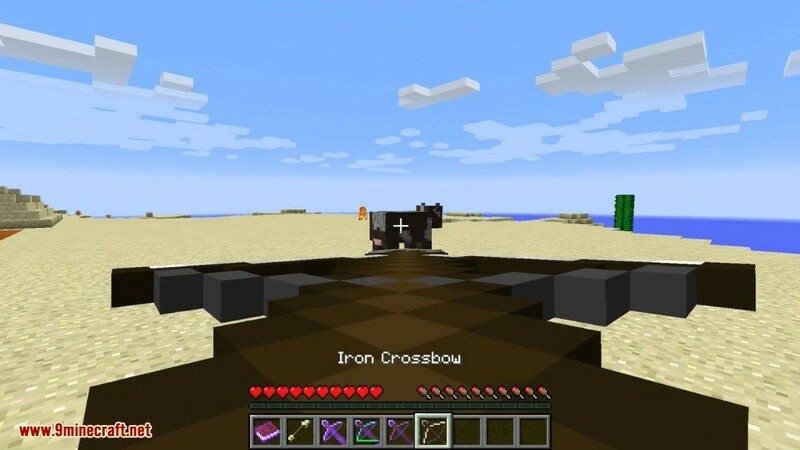 With Enriched Obsidian Mod installed alongside the enriched obsidian you will also gain access to enriched obsidian crossbows which are more powerful and durable than diamond.